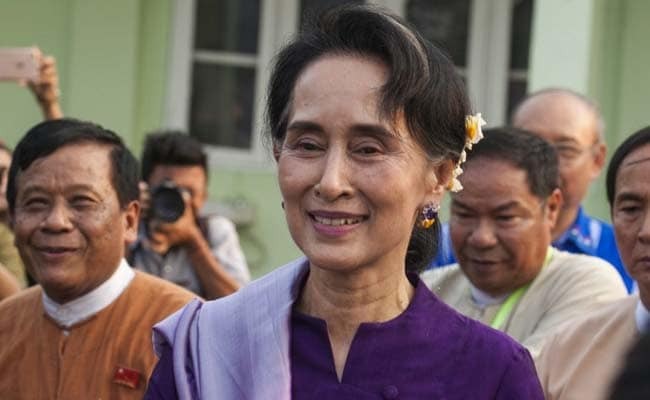 "What I say is not meant to be exciting, it's meant to be accurate... not set people against each other," Suu Kyi said in a press briefing in Naypyidaw, Myanmar. Naypyidaw, Myanmar: Myanmar's de facto leader Aung San Suu Kyi on Wednesday hit back at accusations that she has been silent over the Rohingya crisis, saying she has focused on speaking in a way that does not inflame tensions. "I have not been silent...what people mean is what I say is not interesting enough," she said in a press briefing alongside US Secretary of State Rex Tillerson in the capital Naypyidaw. "What I say is not meant to be exciting, it's meant to be accurate... not set people against each other."